RTÉ2 will be the first broadcaster in Europe to air the second series of acclaimed drama The Handmaid's Tale. The much-anticipated second season will premiere on RTÉ2 on Thursday April 26 at 10.35pm, with live streaming and on-demand availability through RTÉ Player. Based on Margaret Atwood's novel of the same name, The Handmaid's Tale follows life in the Dystopia of Gilead, a totalitarian society in what was formerly part of the United States. Elisabeth Moss stars with Joseph Fiennes, Yvonne Strahovski, Alexis Bledel, Madeline Brewer, Ann Dowd, OT Fagbenle, Max Minghella, and Samira Wiley. 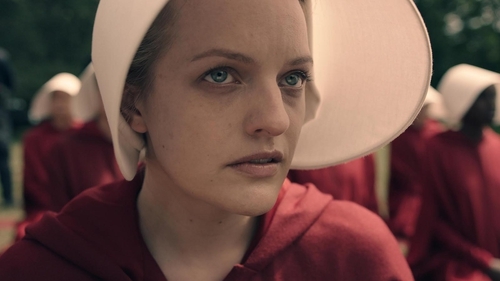 Season two of The Handmaid's Tale premieres in the US on Hulu on April 25 and RTÉ2 will show it the following day. Season one, which is currently airing on RTÉ2 on Monday nights, was the winner of eight Emmys and two Golden Globes. The novel was adapted for a film starring Robert Duvall and Natasha Richardson in 1990 and it has been translated into over 40 languages. A graphic novel, an opera and a ballet have all been based on the iconic story. Last year, Margaret Atwood wrote a piece for the New York Times on the relevance of her novel in the present day. She also made reference to her cameo appearance in the first series. "Although it was 'only a television show' and these were actresses who would be giggling at coffee break, and I myself was 'just pretending', I found this scene [the shaming of a woman] horribly upsetting," she wrote. "It was way too much like way too much history. Yes, women will gang up on other women. Yes, they will accuse others to keep themselves off the hook: We see that very publicly in the age of social media, which enables group swarmings. "Yes, they will gladly take positions of power over other women, even - and, possibly, especially - in systems in which women as a whole have scant power: All power is relative, and in tough times any amount is seen as better than none."